Look in the ads – from good to garbage. 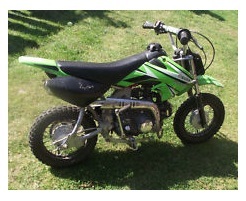 Mini motos for sale are always worth checking out on the web or in the local classified adverts. EBay is good too, but make sure you go along and look to see it running before you buy. Most mini motos for sale are pre used and it would be wise to check it over and see how it’s been used. Has it been abused and badly damaged, badly maintained or just left to gather dust? Unwanted presents are great, as they will be like new and ready to run. – If they have been unused for a long while, best to get a mechanic to give it a full check to see its all ok, jumping on a bike after such little use could damage it, and your money has been wasted. Smaller motocross wheels doesn’t mean less fun. If you're looking for mini motos for sale, you're part of a growing crowd. These are often miniature versions of some of the greatest racing bikes around. The difference is the speed and size. The Mini Moto normally has a two-stroke engine that's either air-cooled or water-cooled. Those bikes adapted for racing can reach speeds of 60 MPH. While that speed is nothing compared to their big brother bikes, it's a thrill when you're riding and considering the size, extremely fast. If you're looking for used Mini Motos for sale meant for racing, check the condition of the engine. Make sure the previous owner used the proper oil mixture and didn't try alcohol based racing fuel to try to get better performance. If he did, the mixture probably ran lean and didn't deliver enough of the oil to the engine of the bike. Even if the engine didn't seize, it can cause some major problems. Of course, a rich mixture is almost just as bad and can make the bike run sluggish. You also must be careful of used Mini Motos for sale that weren't properly broken in during the run in period. If the previous owner revved the motor to the max during this time or didn't use the proper blend of oil to fuel, 25:1, during the first three or four tanks, he might have damaged the motor. Ask plenty of questions. The "run in" also helps lubricate all the parts to give better handling and allow the brakes to bed themselves. If you're buying new, follow the instructions with the bike carefully. You'll probably have to tighten the chain after the initial "run" period, tighten the bolts at all points including brakes, wheels and forks and adjust the tire pressure. That mini motocross bike – style. When looking for Mini Motos for sale, look for the type of bike you want and then check out the paint job. The paint on some of these bikes is bright and the designs are attractive but the bike itself MIGHT BE junk. You can always have the bike repainted later or request the color you want. Don't just purchase on looks alone. Tip – if you’re buying a mini dirtbike or any bike, take a trailer with you (if the bikes not likely to fit in a van or car ) – as you won’t be road legal to drive it home. And you don’t want your bike confiscated ON the day you’ve just bought it. 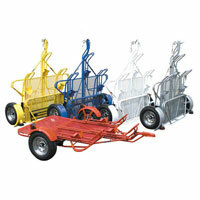 Trailers can be hired for the day, if you don’t own one. 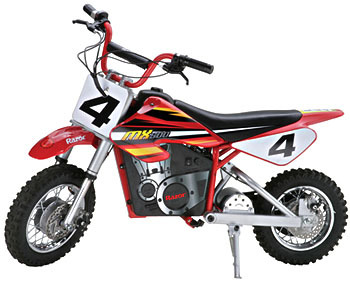 There are several types of Mini Motos for sale. The 2.5 HP is primarily for kids; if you want to race don't consider this one. If you're looking for an inexpensive mini moto to run, consider the 4.2. These are the most plentiful. A production model is ready to race. The supers are for a more advanced racer. They're fast and they need a lot of TLC to race their fastest. 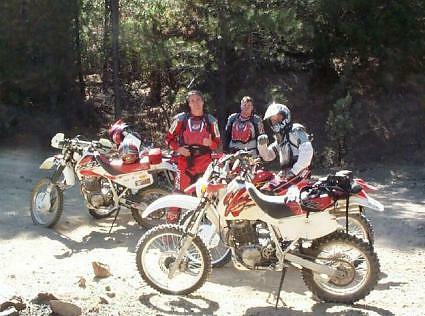 If you're a bit heavier, look for a mini moto that has a more rigid frame. The new GRC RRs recently redesigned their body to keep it lighter but still accommodate the heavier racer. These work well for adult class racers. They also have three optional rear arms for different types of riders. In addition, the body is now fiberglass to make it lighter weight. Consider looking at some of the newer electric bikes. Even though in the past electric bikes were primarily for beginners and young children due to their speed, Zero Motorcycles made a believer out of many people at the 2010 GEICO Powersports MiniMotoSX in Las Vegas. While most of the electric bikes are slow, Zero Motorcycles proved that it isn't always true. There's a new breed of mini motos for sale and you might find one that is perfect for your racing needs. 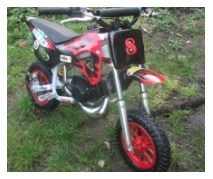 A mini moto pitbike for sale. The answer - A dirt bike pic ? Pictures inform as much as the descriptions - especially online. Auction sites and classifieds normally have the opportunity for the seller to take snaps of the mini dirt bike from all angles. If you find yourself hovering over a 49cc dirt bike, and getting your dirt bike trailer ready to run down and buy it. Take a few seconds to enlarge the image and REALLY look it over. Is there a part of the bike you can’t see? Why would that be? And are there components on the mini Moto crosser you don’t recognise? All these things should be emailed to the seller - a MX picture (if you look within the detail) really is worth a thousand words.